Practicing diligent oral hygiene at home is very important, but it’s not enough to maintain a truly healthy smile for years to come. After all, problems can develop that are difficult for an untrained eye to find, and dangerous consequences can occur if they’re left untreated for too long. That’s why we strongly recommend attending regular appointments here at the office of John Petty, DMD. With the help of an in-depth evaluation and cleaning, Dr. Petty and the rest of our team can form a complete picture of your oral health, identify problems effectively, and leave your smile feeling more clean and confident than ever. Dr. Petty is known for his calming, relaxing manner, and he’s always sure to listen to whatever you have to say about your unique dental needs. 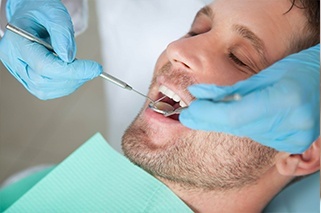 During a standard checkup, he’ll carefully inspect the surfaces of each tooth, gums, other soft tissues, bite alignment, and other aspects of oral health. For adults, we’ll perform an oral cancer screening as well, and advanced digital X-ray technology will thoroughly capture detailed images so that we have a complete understanding of your current dental health situation. If treatment is needed, Dr. Petty will discuss his recommendations in clear and concise terms so that you always understand your options and their benefits. We want your visits with us to be as enjoyable and positive as possible. No one can improve your oral health more than you through regular care at home, but even the most diligent of approaches can miss some dental plaque here and there. 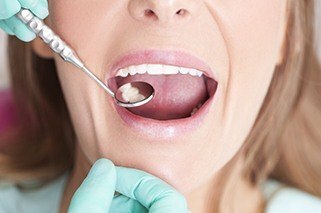 What’s worse is that, over time, these areas of plaque can harden into what we call tartar and dental calculus – tough deposits on the teeth that can provide shelter for dangerous bacteria. Thankfully, an in-depth cleaning at our Tullahoma office can completely refresh your smile, leaving it looking more polished than ever. Our team members will also be happy to let you know where deposits seem to be most frequent and how you can combat these issues with brushing and flossing. At the dental office of Dr. John Petty, we’re fully committed to providing safe and advanced care that delivers stunning results. Our team looks forward to welcoming you! Contact our Tullahoma, TN location today if you have any questions, or if you’re ready to schedule your first appointment. We also serve the areas of Shelbyville, Manchester, Murfreesboro, Lynchburg, and beyond.